Just some fun stuff we do throughout the year! Wear your flowers all day Sunday! Our BBQ is so Amazing that it could Sell Out, which is very common with great BBQ restaurants because it takes 16 hours to make more! COME AND GET IT!...before it's too late! ​Then Go Eat it! YAY! Thanks for Lovin' our Brick Oven! We have a large variety of BBQ Sauce like Southern Vinegar, Spicy, and Regular to go with our incredible BBQ? AND that we make all of it ourselves? Yes, it's true!! There is nothing else like it!! Thank you for your wonderful comments and willingness to drive all the way back for that one of kind flavor! We make all of our own seasonings for our amazing Burgers, BBQ, and Prime Rib. Yes, it is true, it's a lot more work but we feel like it is worth it! OK! So we have chosen a name!.....We combined two of the entries, so we have two winners! Thank you all for commenting--it was really fun! The Winners are Sydnee Mailey and Evan McAlear! The name is "Smokey Brisket"! ​ You two won a Gourmet Burger of your choice from our menu!...with fries and a pop!---you have to share it, JUST KIDDING! Enjoy! Just a quick note: Thank you all so much for your wonderful comments and enthusiasm, our family truly appreciates you and your patronage to our business. We also appreciate your patience with our continuing improvements, as we are still a work in progress. We are hoping to present you with a warm and friendly environment to spend time, eat great food and visit. Please continue to give us truthful comments, we are listening and wanting to make this one of the many great places to hang out in this wonderful town! 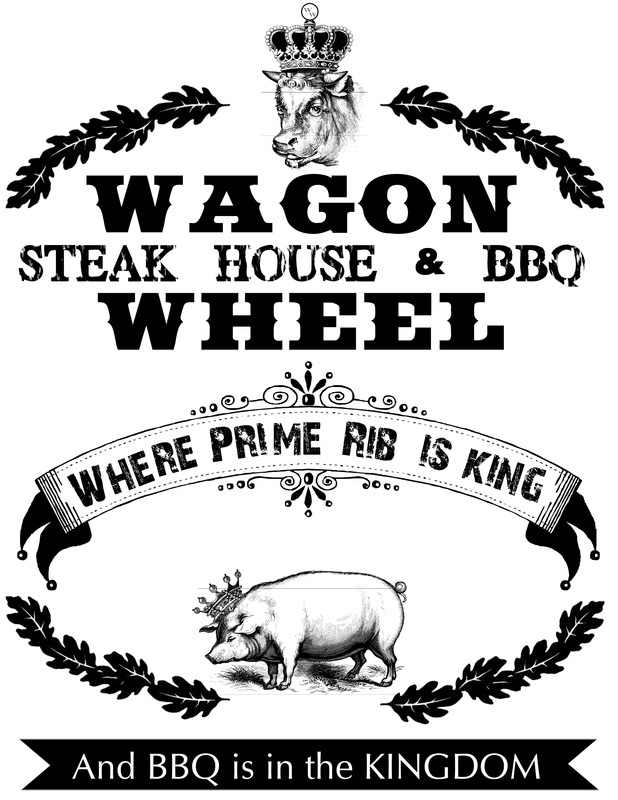 WHERE PRIME RIB IS SERVED ALL DAY 6 DAYS A WEEK! ORIGINAL ALL IN HOUSE SEASONINGS AND SAUCES! Happily Serving Breakfast, Lunch and Dinner! Have a Classic Breakfast starting at 7am! In a HURRY? Try our FRESH, Amazing Soup & Salad Bar ready and waiting to get you in and out quickly! The Freshest, Most Variety, and Still at the BEST PRICE in Town! If you have a bit more time, check out our generous Specialty Burgers 100% fresh ground beef, hand formed patties everyday! Prime Rib is served all day, everyday! We offer Classic Prime Rib and an Amazing Smoked Prime Rib and Ribeye as well! Lots of GREAT FOOD everyday! Where BEEF is KING and BBQ is in the Kingdom!